WILLEMSTAD – Dutch State officials may not fly for work with the Curaçao airline InselAir. The government made this decision because there are concerns about safety. To "also inform other passengers of the current situation" the government has decided to express its concerns about this, writes Junior Minister Sharon Dijksma (Infrastructure and Environment) and Minister Ronald Plasterk (Interior and Kingdom Relations) to the Dutch parliament on Friday. The ban applies to flights with InselAir International BV. 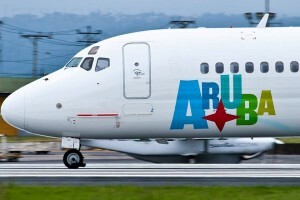 This week several aircraft of InselAir Aruba were grounded by the Aruban Civil Aviation Authority for further inspection. The Environment and Transport Inspectorate (ILT) will, according to the Dutch government, help with in the inspections of the aircraft.